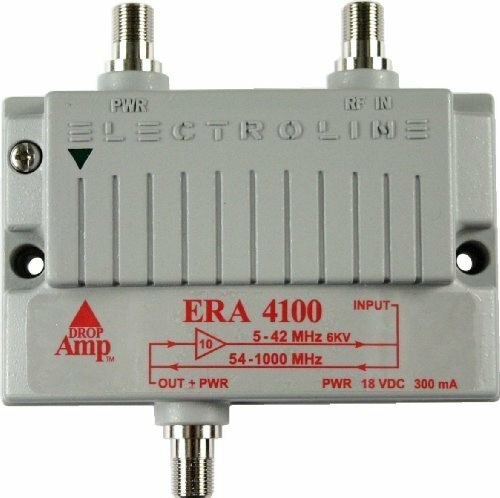 The ERA 4100 is a reverse path amplifier. It is used when communication back to the cable company requires a boost due to too many splits, or too long of a return cable run. It can improve cable modem reliability and fix problems with digital set-top boxes that have trouble communicating back to the cable company. If you have any questions about this product by cableTVamps, contact us by completing and submitting the form below. If you are looking for a specif part number, please include it with your message.